Nardwuar The Human Serviette News: Nardwuar's Video Vault Chapter 3 on Aux.TV : This Sat Feb 12 ! 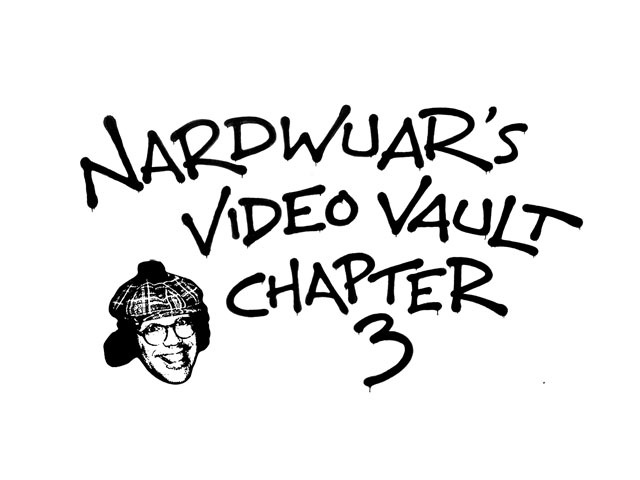 Nardwuar's Video Vault Chapter 3 on Aux.TV : This Sat Feb 12 ! This Saturday (Feb 12) at 9pm (eastern) and 6 pm (pacific) (repeating at Midnight(eastern) and 9pm (pacific) on AUX.TV in Canada perhaps you would like to tune into Nardwuar's Video Vault Chapter 3 ! It's an hour long special of some of my fav interviews from the past couple months. Everything from J. Cole to Jello Biafra to Joanna Newsom and much much more! Aux is available on Rogers 107 and on Shaw 138. Doot doo!